Clement Greenberg thought Anthony Caro’s colour was provisional, a much less important part of his art that its physical structure. Phillip King made colour more central, and to greater effect. 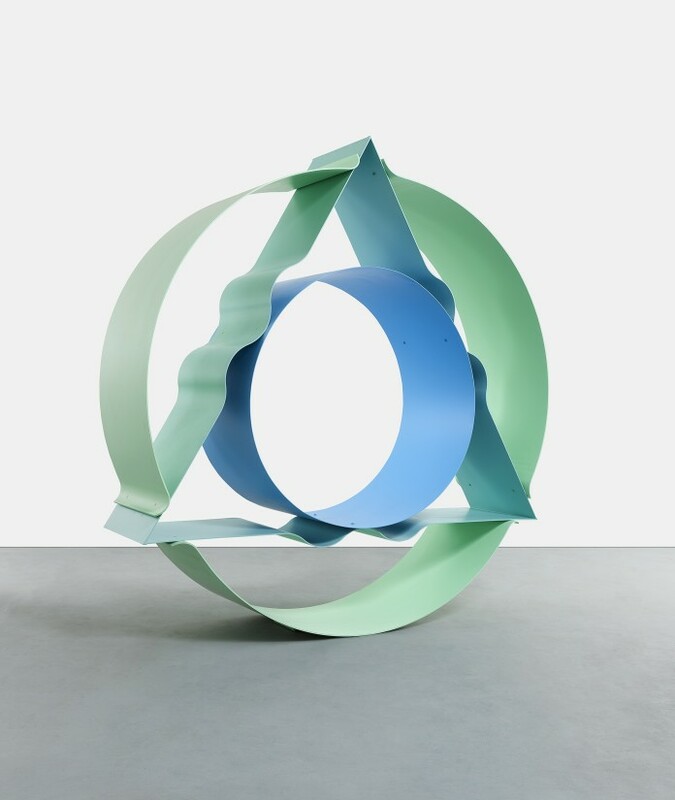 But in this trio of sculptures Annesley’s employment of colour seems far ahead of anything I have seen by either King or Caro (or William Tucker). The only work I have seen which uses colour in a comparable, and as successful, manner is Tim Scott’s Bird in Arras VI (1969) and, to a slightly lesser extent, his Bird in Arras IV (1968) (both in the Tate collection, although not displayed for quite some time). Mention should be made of Michael Bolus’s polychrome sculptures from 1969 and 1970, although I have not seen these in the flesh. Having seen these Annesley’s – and earlier in the year Bird in Arras IV and VI – I realise that the colour in much sixties sculpture, although in a sense its most instantly recognisable feature, is generally passive (which I suppose is similar to Greenberg’s provisional). Colour allowed many sculptors to distinguish different elements from each other, or conversely, to unite them, and so gave their work an overall visual identity. It also created mood or feeling, and allowed sculptures to call across a room. These are all aspects of these works by Annesley and Scott, but they also use colour to do something else, something much more invigorating. Colour becomes active and is set to work, fusing the sculptures together in the way that we see much more commonly in abstract painting: as with the stripe painting by Morris Louis up the road in Pace (until the 22nd December). Colour is often described as de-materialising sculpture, calling into question the physical reality of its underlying structure. But in the art of Annesley and Scott colour becomes itself a truly physical element. 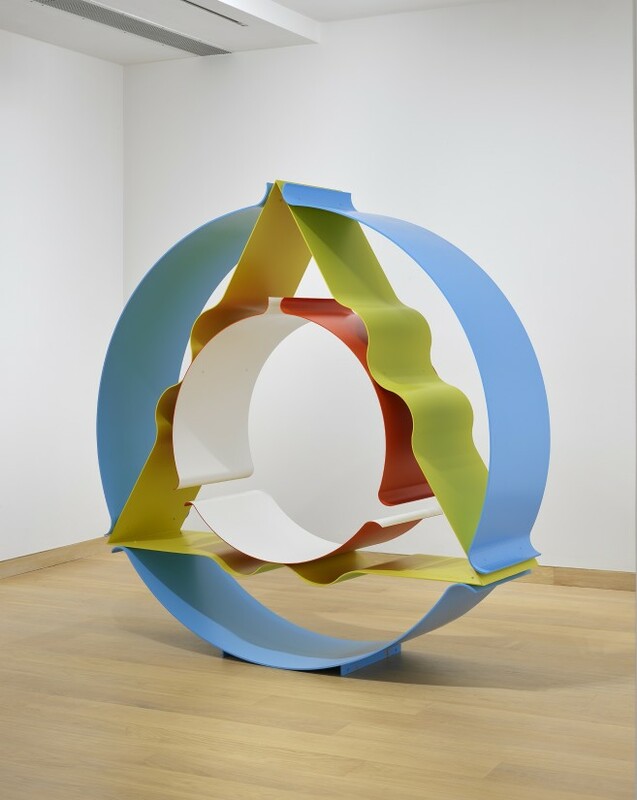 Colour fills and energises the space between the sculptures’ parts and gives this space a richness and – despite the overall lightness and levitation of both artists’ works – a sense of density, even of weight, and – in the more spatially active Bird in Arras VI – force. The sculpture of the 1960s burned brightly and briefly, not really outlasting the decade, at least as a coherent entity. 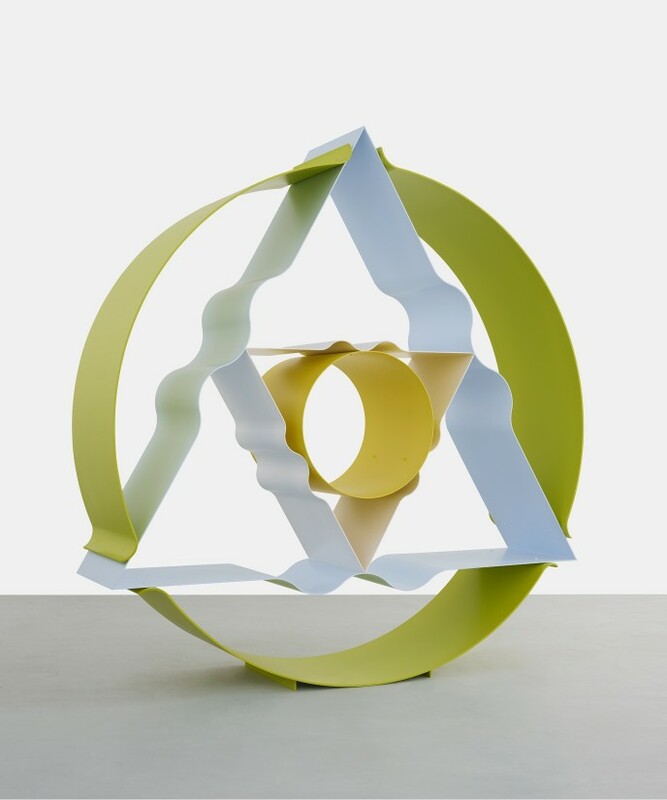 Most readily defined by its colour, it is remarkable that this colour – in the art of Scott and Annesley, and perhaps in Bolus – seems to have become most potent in the years just prior to 1970, when many, although not all, of the artists abandoned it as a resource for sculpture.